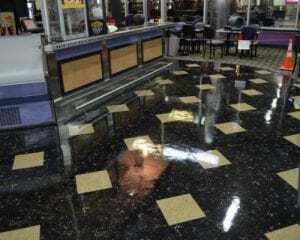 Using one of our Vinyl and Terrazzo Floor Sealer systems can realize savings of between 30 and 60% in maintenance labor costs. 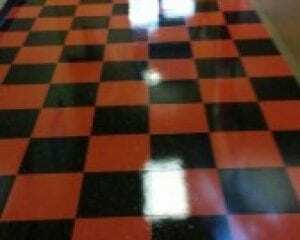 Most saving come from eliminating the need to strip and wax vinyl and terrazzo floor surfaces. Burnishing and spray-buffing are also significantly reduced or eliminated. Easier cleaning and floor care means facility downtime is dramatically reduced and maintenance staff is freed up to work on other pressing maintenance issues. 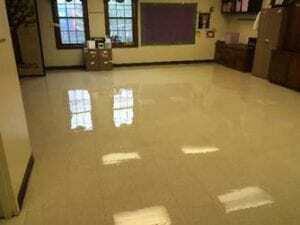 Fast and Durable in service protection for all types of Vinyl and Terrazzo Flooring. Reinforced with urethane to provide durability and chemical resistance. 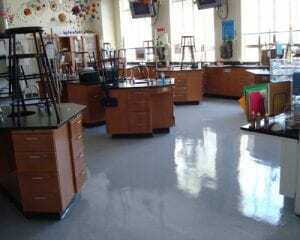 Tough water based two-part polyurethane designed to replace wax floor finish.